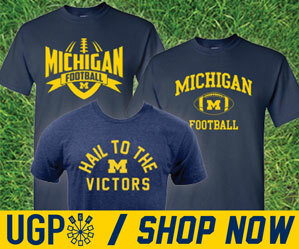 It must be tough to know that Michigan is going to make your outdoor hockey game look like a pee-wee game next year. And averages 44.2 return yards per kickoff. Their ARP goes from 927 to 887. Doctor Lou is taking his act on the road. James Earl Jones is still cooler than Hugh Jackman.